Compare the best online dealer prices before you buy British Half Gold Sovereign coins. The British Half Gold Sovereign coin contains .1177 troy ounces of gold bullion. The melt value of one British Half Gold Sovereign coin is $150.47 based on the current gold spot price. The average price for British Half Gold Sovereign for the past 7 days is $173.53. Great Britain first minted Gold 1/2 Sovereigns in 1544 during the reign of King Henry VIII. They were continued from 1817-1937, and not issued again until 1980, but have continued to be popular amongst Gold investors worldwide. Coin Highlights: Contains .1177 oz actual Gold weight. Obverse: Depicts a bust of the reigning monarch at the time the coin was struck. Reverse: Most dates have a rendition of St. George mounted on horseback slaying a dragon, designed by Benedetto Pistrucci. Some from Queen Victoria's reign feature a crowned shield. Minted at the British Royal Mint and other Commonwealth Mints. 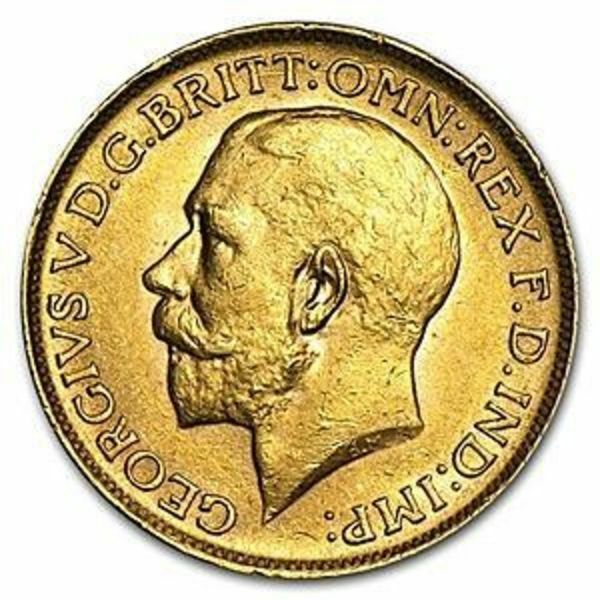 FindBullionPrices.com searches over 30 national, reputable and trusted bullion dealers to find the lowest prices on British Half Gold Sovereign and other British Gold Sovereigns products. The prices on our site for gold bullion and coins are updated hourly and adjusted for gold spot price. We give you the tools to compare gold prices from reputable and trusted bullion dealers. Compare British Half Gold Sovereign prices across bullion dealers to pay the lowest price. We will help you find the best prices for British Half Gold Sovereign when you're ready to buy.